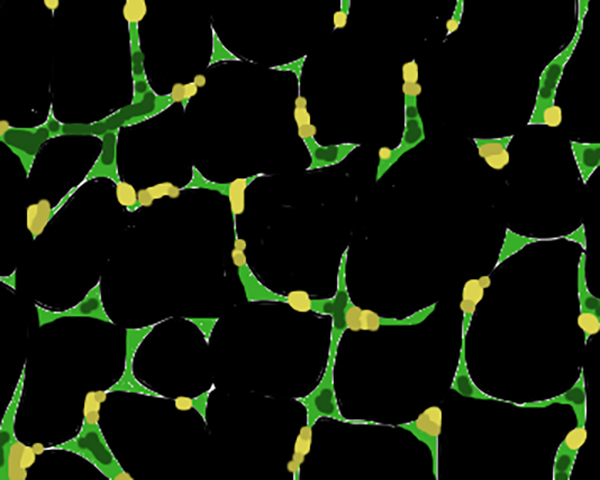 Scientists at the University of Minnesota have succeeded in almost completely regenerating skeletal muscle in a mouse model of muscular dystrophy, using genetically unmodified mouse pluripotent stem cells (PSCs) collected from an unexpected source. Sunny Sun-Kin Chan, Ph.D., Michael Kyba, Ph.D., and colleagues, isolated skeletal muscle stem cells from PSC-derived teratomas—a benign tumor that can produce cells of any type—which they transplanted into damaged tibialis anterior (TA) muscle tissue in the experimental mice. They found that even small numbers of cells readily engrafted, regenerated up to 80% of the skeletal muscle volume, and significantly improved muscle strength and resistance to fatigue. In fact, the transplanted teratoma-derived muscle stem cells were found to exhibit a far greater regenerative potential than muscle stem cells generated in the lab from genetically modified pluripotent stem cells. The transplants also generated a source of new muscle stem cells to maintain the reconstructed muscle tissue and help it to repair after subsequent injury. Given that PSC-derived teratomas implanted in vivo can generate highly complex tissues, including glands and hair follicles, the team investigated teratomas to see if they produced skeletal muscle progenitor cells. They created teratomas using undifferentiated pluripotent stem cells injected into immunodeficient mice and then sorted the different cell types in the benign tumors to identify myogenic progenitors by gene expression. When the team then isolated the teratoma-derived muscle stem cells and grew them in culture, they found that the cells retained their ability to differentiate into muscle cells, even through multiple rounds of replication. “This is notable because myoblasts from adults are reported to lose myogenic potential with extended passage,” they write. To see how the teratoma-derived skeletal muscle cells would behave in vivo, the team transplanted relatively small numbers of the stem cells—about 40,000—directly into the damaged TA muscle tissue of the muscular dystrophy mouse model. They found that within a month, the cell transplants had produced “muscle regeneration on a scale that significantly surpassed previous reports.” In fact, within about three months, the transplant had rebuilt about 80% of the muscle volume, without any sign of new teratomas developing in more than 100 transplantations, even a year later.